Custom Window Designs is a member of the Canadian Windows and Doors Manufacturers Association (CWDMA). We hold all our products, services, and team members to a high standard. 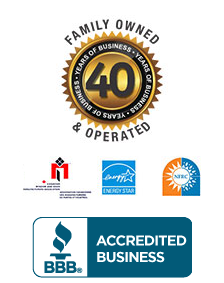 Serving the GTA for over 40 years, you can be confident that our work will meet and exceed your expectations, as our excellence is recognized by third-party regulators and associations. If that’s not enough, our products and services are supported by a 5-year workmanship guarantee, along with an exclusive 25-year manufacturer warranty. We always strive to achieve 100% customer satisfaction. We ensure our performance and results meet your ultimate design. Whether the job is a simple window replacement or a complicated custom renovation, you can rest assured we can complete any installation in your home. Every project receives the same attention to detail, we consider all measurements, angles, structure, architectural design, and structure design. Replacement windows and doors are substantial investments that will improve your home’s overall value. We offer a variety of window and door styles! Check out some of our most celebrated works in our window & doors gallery with photos of our many products installed beautifully into our happy customers’ homes. We have images of everything from high fixed windows to bow windows, speciality shaped windows and designer glass windows! Whether a job is as simple as replacing one bedroom window or as complicated as custom windows for your entire house, large projects or small ones, every job should be celebrated. Like our workmanship? Contact us for a FREE quote and home evaluation for new windows and doors. We’re able to visit any residential home in the GTA and surrounding areas so you’re able to receive expert advice and a better idea of what window design or style suits your needs.